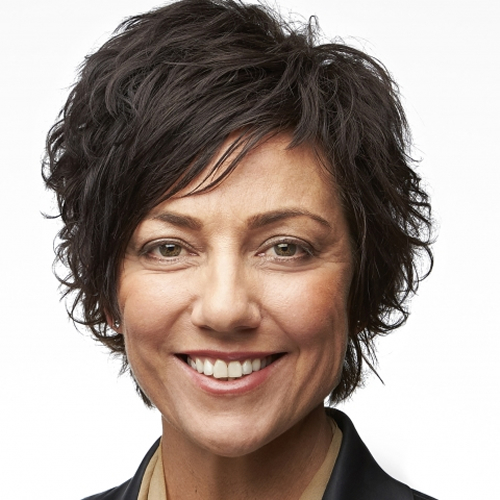 Dual Olympic gold medalist; former captain of the Hockeyroos; Commissioner – Australian Sports Commission; Non Executive Director – Fortescue Metals Group (FMG); former Chair of Healthway (WA Government’s peak health promotion body); 2007 Deloitte National Business Woman of the year. Dual Olympic gold medallist, Jenn Morris represented Australia in hockey from 1991 to 2000 playing 150 games for her country and scoring 86 goals. She was one of the original players from the Ric Charlesworth era which remained undefeated in major tournaments for almost a decade until 2000. Jenn was one of the senior members of the team and shared the captaincy of the Hockeyroos during her entire career. Her resiliency was underpinned by her determination to make Sydney 2000 Olympic Team after spending two and a half years on the injured list, after complications arising from a knee reconstruction. This was Jenn’s second knee reconstruction, her first in 1991 effectively ruled her out of the Barcelona Olympics in 1992. The gold medal at the Sydney Olympics was to be a memorable one, Jenn sealed it in great style scoring the final goal to claim victory for Australia in what was her 150th and final game of her distinguished career. After retiring from international sport Jenn was a Partner in the Consulting Division of international professional services firm Deloitte, specialising in complex large-scale business transformation programs and strategy development for many years until November, 2016 when she joined the board of directors of Fortescue Metals Group (FMG). Jenn is former Chairperson of Healthway WA (Western Australian Government Health Promotion Authority), and was a board member of Western Australian Institute of Sport for ten years. She was also on the board of Fremantle Football Club (FREMANTLE DOCKERS) for several years and is a Commissioner with the Australian Sports Commission. Bachelor of Arts (double major in Psychology and Journalism), Curtin Unversity of W.A. Master of Business Administration (enrolled), Curtin University Graduate School of Business. O.A.M. (Order of Australia Medal). Expert commentator for the ABC during major hockey events. Board member of Western Australian Institute of Sport. Member of the Industry Strategic Reference Group for the Department of Sport & Recreation, Western Australian Government. 2006 Commonwealth Games, Melbourne hockey commentator ABC radio. Patron of Ford Ladies Corporate Golf Club – golf handicap of 6. Named as Deloitte’s National Deloitte Businesswoman of the Year. 2007. Chair woman of HealthWay W.A. (WA Government Health Promotion Authority). Appointed to the board of directors of Fremantle Football Club (Dockers) in August 2009. Appointed to Australian Sports Commission as Commissioner in 2015. Appointed as Non-Executive Director of Fortescue Metals (FMG) – November 2016. A naturally charismatic communicator, Jenn draws on the potent parallels between sport and business in order to reveal the common values and attitudes required for success. She regularly addresses events for corporate clients such as ANZ Bank, Commonwealth Bank, AMP, Westpac, Automotive Holdings Group – Holden Australia, Financial Planners’ Association of W.A., AON Health Risk Insurance Services and many others. Jenn’s presentation titled ‘Creating a Leaderful Team’ encompasses Training & Work Ethic, Continuous Learning, Growth through Adversity, Common Goals, Flexibility, Breadth of Leadership, Honesty and Humility, What the Hockeyroos can teach Business, Core Values of a Champion Team and Dealing with Change. Verity Neale. Shearmans Public Relations for Western Power Internal Brand launch function.